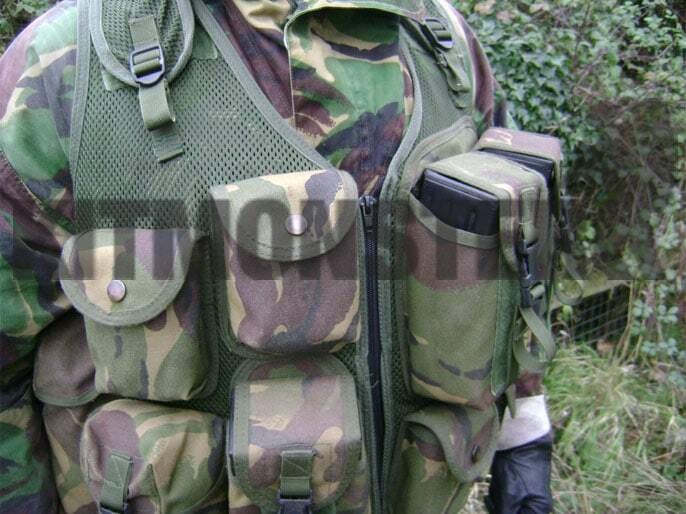 Unusual, private purchase Assault / Operations Vest in UK DPM. Usual waistcoat design with height and size adjustment, zipped front, size adjustment on shoulders and back. 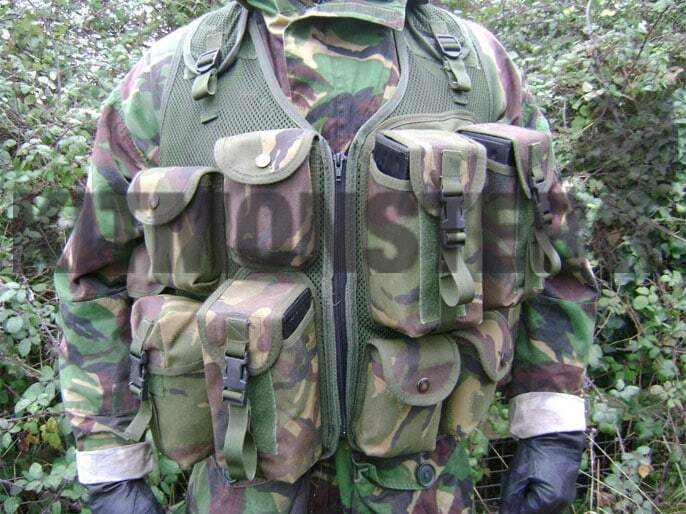 2 x small box pouches on the chest, sized for smoke grenade or 20 x 19 field dressing, press stud closures. 1x large utility pouch, large enough for UK issue '58 pattern bottle and cup. 1 x smaller utility, too small for the UK bottle. 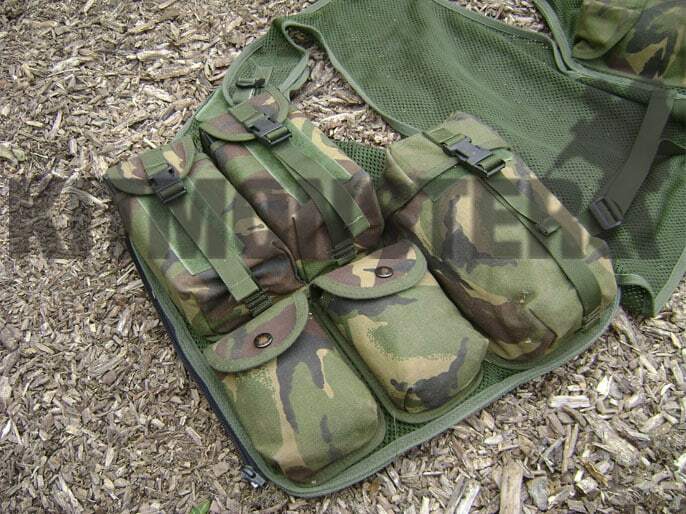 1 x magazine pouch, accommodates 3 x 30 round 5.56mm. All of above close with adjustable straps & buckles, and Velcro. 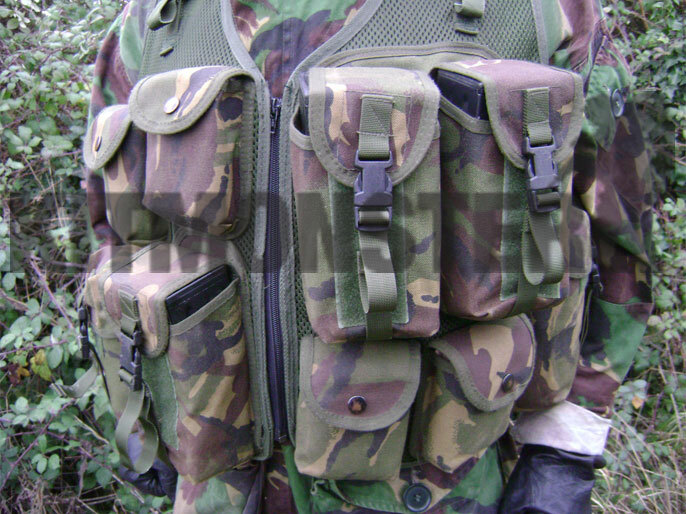 2 x magazine pouch on the chest, each accommodating 3 x 30 round 5.56mm, strap & buckle closures. 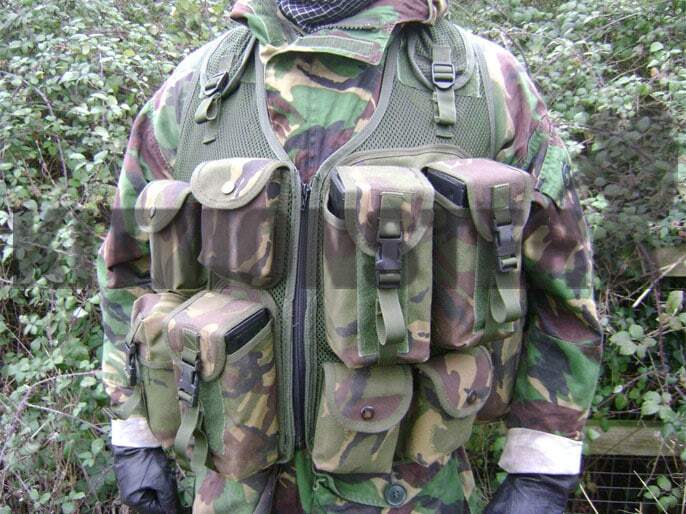 2 x small box pouches below these, sized for smoke grenade or 20 x 19 field dressing, press stud closures. 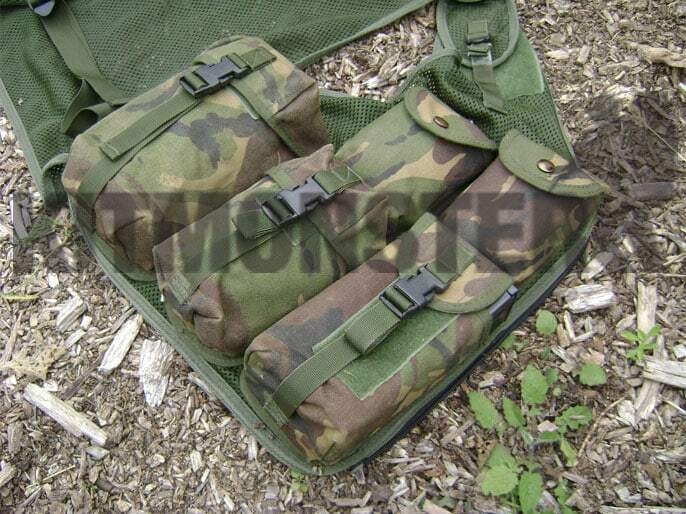 1x large utility pouch, large enough for UK issue '58 pattern bottle and cup, strap & buckle closure. 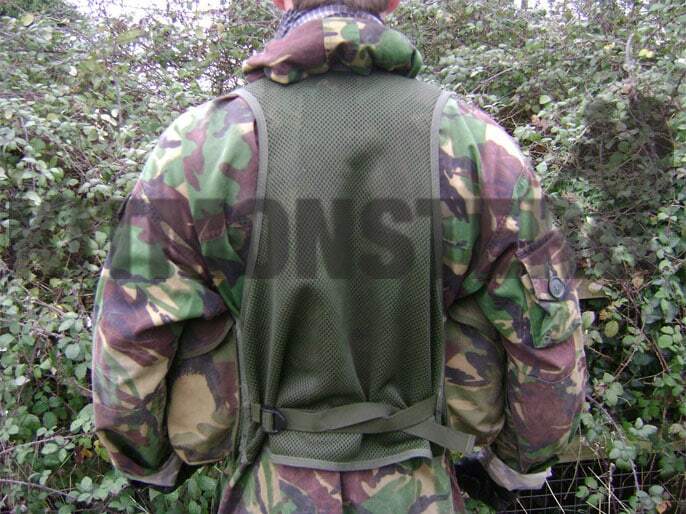 All pouches are sewn directly to a mesh base for minimum weight and miximum ventilation. 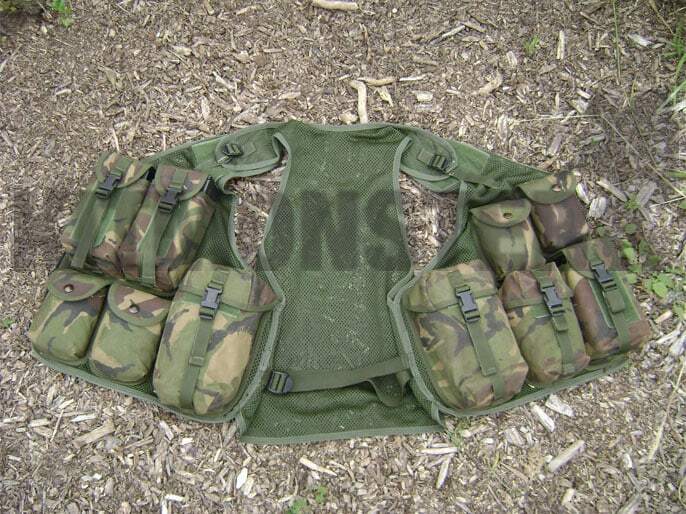 Large internal slip pockets in the chest panels, ideal for maps, these are mesh lined and do not have dedicated closures, are no additional internal pockets, this item does not feature a pistol holster. We believe this a UK designed and made item, from the now closed 'Ventura' brand, MOD specification materials throughout. Grade one used condition, sound and fit for use. Multiple views shown. 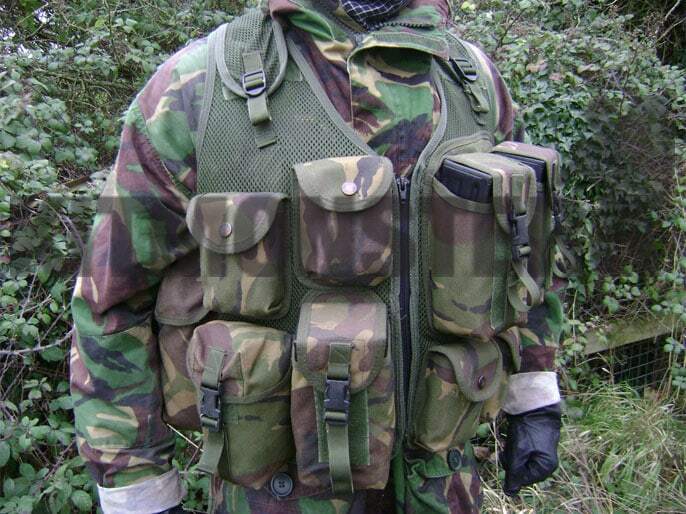 contents for illustration only, single empty vest supplied.